Boxed, postcards, 3.75 x 5.75 in. / 8 tritone. The eight scrupulously tritone dry-trap printed postcards that make up A Gallery of Postcards were originally produced by Walker Evans in 1936 by contact printing sections of his 8 x 10-inch negatives onto the smaller Kodak gelatin silver postcard stock. 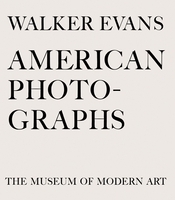 This edition comes with an essay by Jeff L. Rosenheim, curator of The Metropolitan Museum of Art's 2000 Walker Evans exhibition, from which these postcards are drawn. 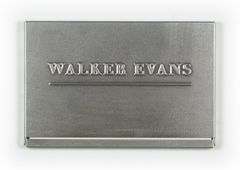 "Like a poet refining an idea word by word, Evans often clarified and intensified the meanings of his pictures by trimming his prints just slightly to present the leanest possible image," Rosenheim writes. "With the postcards he took that impulse to another level. 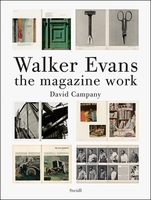 Evans was a master of the edge and one of the mediums greatest precisionists." 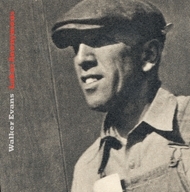 FORMAT: Boxed, postcards, 3.75 x 5.75 in. / 8 tritone.